Kids Empowered has provided empowerment programs for thousands of children for over 20 years. Each camp is designed to focus on different self-esteem and confidence building activities, social skills, and practical strategies to deal with the issues kids face with their friends and classmates at recess, in the lunch room, in the hallways, and in LIFE! Kids Empowered teaches the Kids Empowered curriculum through interactive games, role playing, themed crafts, poster activities, team building, physical fitness, yoga and mindfulness. Emotional Intelligence matters, learning these skills and strategies can benefit every kid no matter what their level of confidence. Each week has a different focus and themed activities. . This camp uses a fun and magic theme of Harry Potter. This camp includes learning through Harry Potter themed crafts, games, movies and role play. Kids learn how to get into the “friendly house” and how to respond in an empowered way to the “slitherans”. Kids will learn about managing their stress/emotions and being brave like Harry. Kids will learn how to manage the chambers of secrets and the impact of the brewing of gossip. Most importantly, kids will learn the magic spells to shut unfriendly situations down. Camp includes Harry Potter themed games, craft activities, mindfulness, role playing and physical activity. Develop strategies for managing emotions, stress, worries and daily challenges. Girls will have fun and receive the benefits from yoga of strengthening their bodies & relaxing their minds while learning how to be grounded to deal with hot/cold friendships and trying to fit in. Girls will look at mindfulness, music, creativity, journaling, the importance of building a supportive network, and everyday ways to cope with stress. 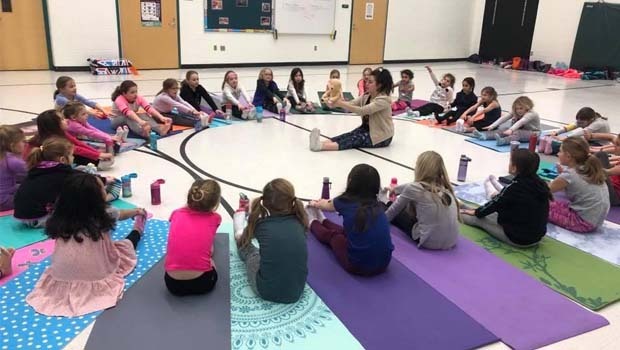 Girls explore how yoga, mindfulness, meditation and self-care can promote better self-esteem, a greater sense of confidence and emotional balance. This week of camp will include daily yoga, mindfulness and address significant areas of stress for girls. Kids will learn how to problem solve to be inclusive, deal with rule changers and cheating, and how to be a friendly classmate whether you win or lose. Kids will learn exact words to say, tone of voice and how their body language should look. Kids will learn how to respond when other kids say they can’t play, or they are having private conversations. Kids will learn frustration management techniques and coping skills to help them be calm in sticky situations, so they can “act”, not “react”. Camp includes a playground tool box craft, and lots of fun games. Being assertive is a life skill every girl needs to have in dealing with unfriendly friends, bullies, in negotiating, handling conflict, setting boundaries, to be taken seriously, and getting their needs met. Girls will learn and practice being assertive in their words, voice, and body language through role-playing and crafts. Girls will learn the do’s and don’ts of friendship and how to work through sticky friendship situations. This camp will help all girls no matter what their confidence level is including girls who may be too aggressive in how they communicate to those who don’t use their voice at all. Role playing, games, friendship crafts, swimming and fitness included.